We all enjoy the beautiful dance floors of each of our studios, and we would love to ask for your cooperation by keeping the outdoor footwear in the “mud room”. A wet floor is also a potential danger to the student body as well! Therefore, just a friendly reminder to everyone, please bring a pair of clean indoor exercise shoes to change prior to the class in order to keep the dance floor dry & clean. One of the most popular questions from students we get is what kind of shoes should be worn to Zumba. The general answer is: any shoes that support aerobic activity, while providing flexibility for lateral movement, and pivoting. If you are experiencing any knee pain/joint stiffness lately, it’s probably time for you to update your Zumba shoes. They have smooth bottoms, light weight, Great shock absorbency, easy to pivot and funky colors! You can easily find them at all major sports wear shops (Footlocker, Sportscheck, Champs, Reebok, etc). Other ZIG variations have lesser Zigs, or more “rigid” Zigs, which offers less shock support. Prices range: $120-$130 in Canadian stores, sometimes Buy 1 get 2nd at 50%! $100 or less in US stores with more colors. Great for people who bounces and jumps around. Nubs at the bottom of the shoes makes it non-sticky! 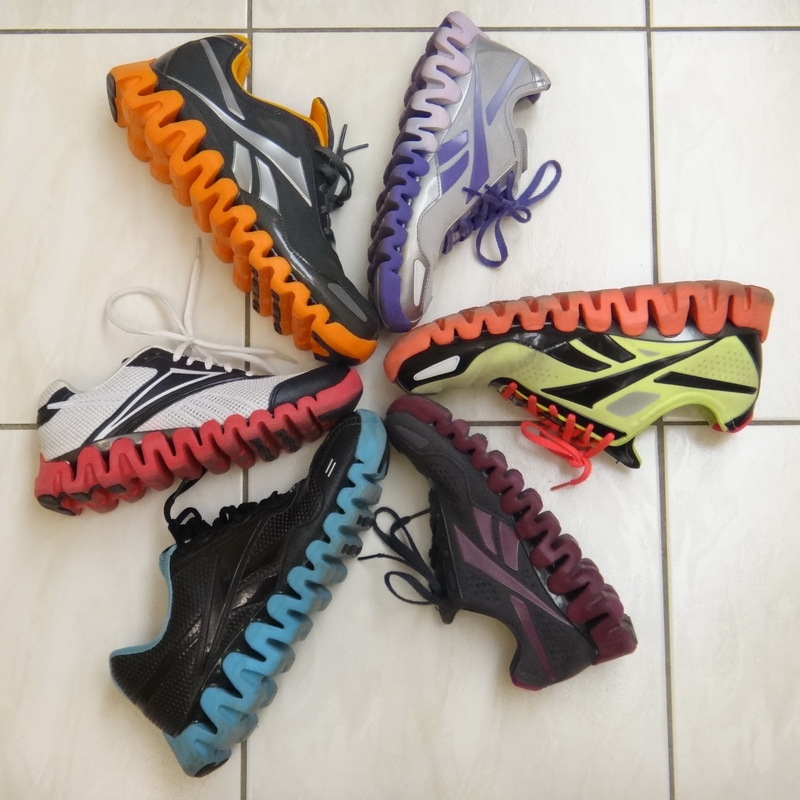 ZPump Fusion by Reebok, Light-Weight shoes with pretty good cushioning. Not too sticky on the ground either. Some very nice color and designs as well! 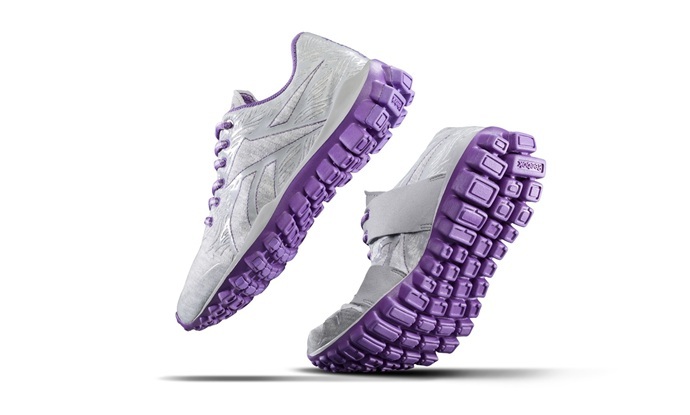 Light, flexible, and is designed specifically for Zumba! These are like running shoes/sneakers designed for dancing. They have split soles for foot flexibility and cushioned interiors, and are designed for dance’s pivoting movements. and a new comer from a long line of dance shoes Bloch. Newly discovered by Ron & Lily, they are very comfortable, offers Incredible shock/jump absorbency. Great for pivoting also, because of it’s unique 19 “Lugs” sole design. These feels SUPER in the beginning! Light, flexible, very cushiony! It’s a Dream come true! ZIG is still the longest lasting model. Do you’ve any? Kindly let me know so that I may subscribe. Thanks. The sole of the Reebok Flex looks sticky. It doesn’t has a pivot point. Is it really good for Zumba? the Reebok Flex is not too terribly sticky. Though my experience is that they wear out very very quickly, and become “flat” with minimal cushioning. I am currently trying out the Reebok ZPump Fusion 2.0, which are very light, and not sticky at all! Adequate cushioning for jumping around, too. I’ve also splurged on a pair of Nike Air Max 2015, which are on so very good! Ladies Only Gym Church Hill Usa | Welcome to the site!